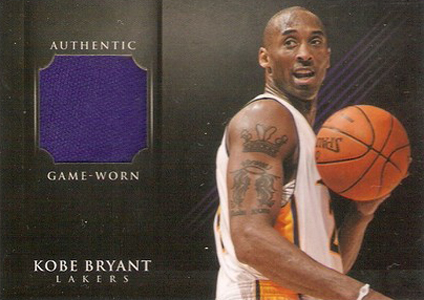 Cards have a piece of the shoes worn by Kobe Bryant on March 25, 2012 in a game versus the Memphis Grizzlies. These cards are thicker than the base cards. They have a stated print run of 50 cards each. Card has a piece of a Dallas basketball net used during the finals. Cards include jumbo swatches and patches from Pro Bowl jerseys. Autographs are on a jersey material swatch. Cards also have a manufactured patch in the top corner. Cards have player-worn memorabilia swatches. Cards have pieces of footballs used during 9/11 Tribute games. Some have autographed parallels. 2012 Panini Father's Day is a promo set that covers baseball, basketball, football, hockey and soccer. Cards were distributed in two-card packs and intended as hobby shop incentives to be given out during the Father's Day weekend. Packs were also available online for those buying direct from Panini. 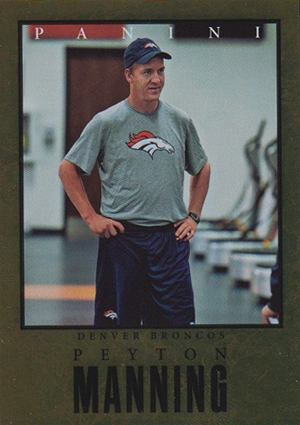 The 2012 Panini Father's Day base has 34 cards. The first 28 are organized numerically. 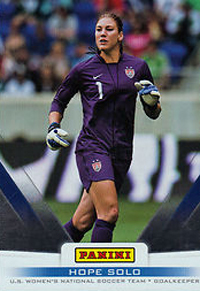 Six cards highlighting members of the U.S. Women's Soccer Team are numbered with their initials. 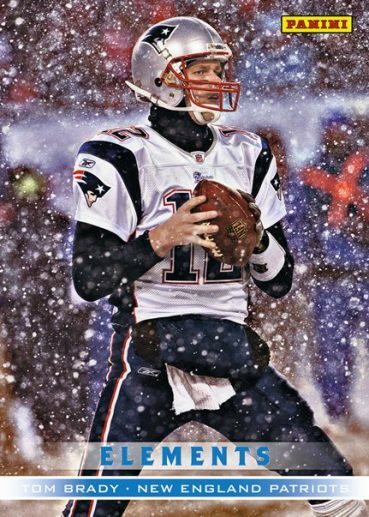 A similar design is used for an 11-card Legends set that features retired stars like Nolan Ryan, Joe Montana, Mario Lemieux and Magic Johnson. A 17-card Rookies set is done in foil and cards are serial numbered to 499. 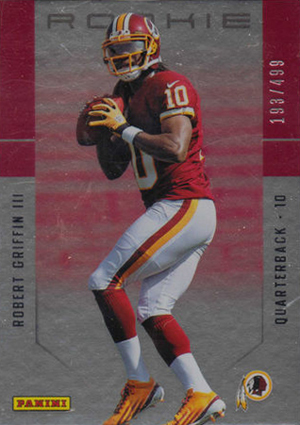 This set is notable for having the first cards of Andrew Luck, Robert Griffin III and four other members of the 2012 NFL rookie class in their pro uniforms. 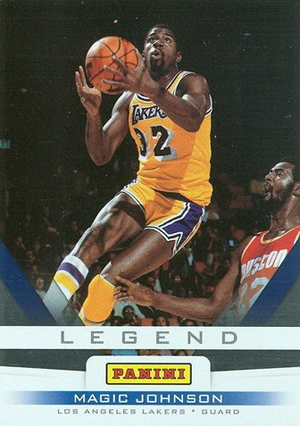 The base set, Legends and Rookies all have Cracked Ice parallels. Although not serial numbered, these cards have a print run of 25. 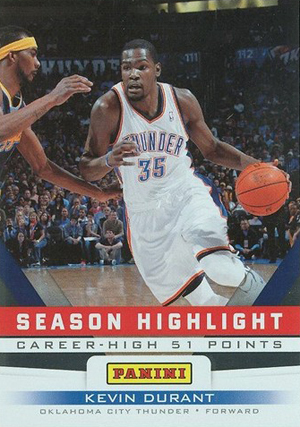 Other basic insert sets include Elements (10 cards), Season Highlights (12 cards) and Elite Series (2 cards). These also have Cracked Ice parallels. 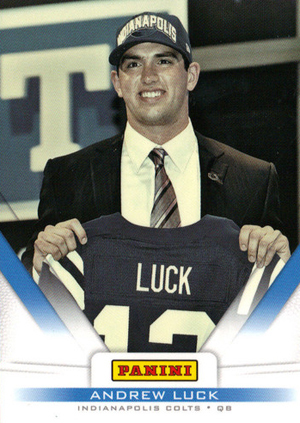 2012 Panini Father's Day has several levels of inserts, many of which include autographs. 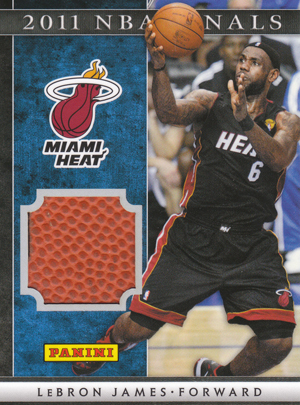 Several of the memorabilia cards come from specific games and events, such as the 2011 NBA Finals. Besides cards on the confirmed checklist, Panini inserted additional cards. Some are cards from other sets that have a special foil Father's Day stamp added to the front of the card. 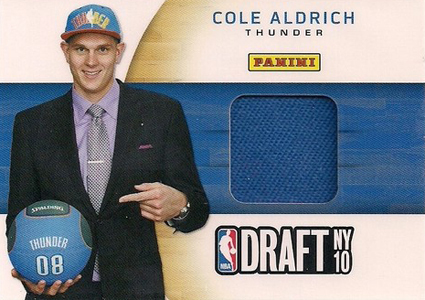 2012 Panini Father's Day Cole Aldrich Draft Day Auto Hat Thunder Autograph! Here are the top 5 deals on packs currently listed on eBay. cam newton FATHER'S DAY ....CRACKED ICE SP with free shipping ! !